12th class and having basic knowledge in computers, they are eligible to apply for this SPSC Junior Storekeeper, Accounts Clerk jobs. Last date for submission of application form online is 31-01-2018. Candidates must have to submit their application through online only using official website of www.spscskm.gov.in. Selection for this Accounts Clerk, Junior Storekeeper jobs will be held through written exam and interview. 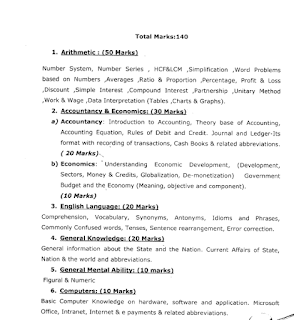 Exam Syllabus in PDF and text wise is given below. E Admit Card for SPSC Written exam will be available in spscskm.gov.in website 10 days before the exam date. Age limits, Eligibility details, online application procedure, application fee, Exam pattern and Syllabus, other details are given below. Lower age limit is 18 years and upper age limit is 40 years. 1. Candidate must have qualified 12th class. Should have studied maths subject in class 10th. 3. Should have known the languages of Nepali, Bhutia, Lepcha. Selection for these Sikkim PSC vacancies will be held through written exam and interview or viva voce. Written exam will be held for 140 marks. Viva/Interview will be held for 10 marks. Written exam will be held for 140 Marks. Exam paper will be in English Medium only. All the questions will be in objective type only. SPSC Written exam will be OMR based only. Minimum qualifying marks for written exam is 40% (56 Marks). 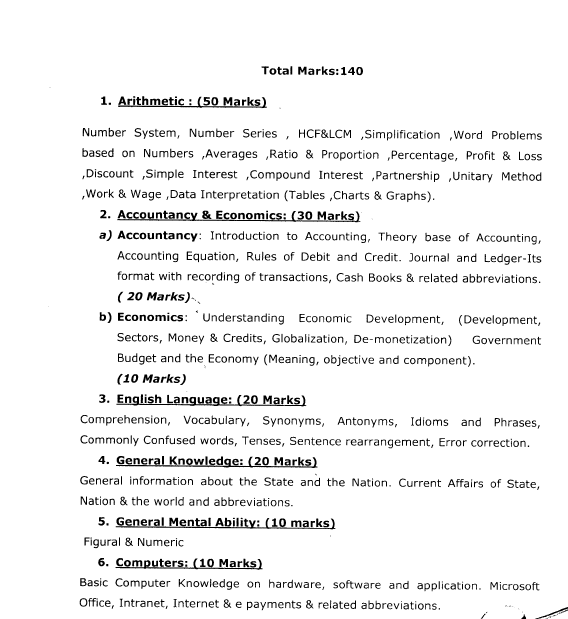 Accounts and Economics syllabus is completely from 11th and 12th class level only. Arithmetic, English Language syllabus will be 10th class level. Download the exam syllabus here. Interested and eligible candidates may apply online for this Sikkim SPSC Vacancies on or before 31-01-2018 through official website of www.spscskm.gov.in. Admit card will be available in the same website 10 days before the exam date. Written exam qualified list and merit list of interview will be displayed in the SPSC website only.